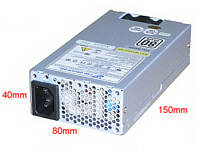 There are plenty of Power Supplie Units available on the market. Some have a special size which make them difficult to find. 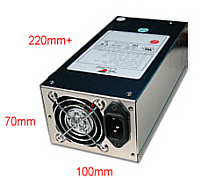 To help you locate the one you need see bellow the measurements of the most common PSU available. 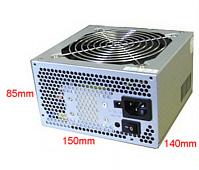 Should you need assistance in your search of a PSU, do contact us with your PSU model number or measurements. 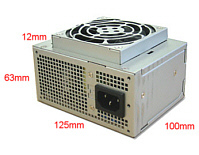 -Branded PC usually come with a tailor made PSU which is expensive and difficult to replace. 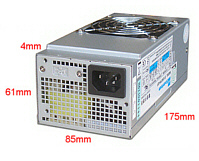 There are however some other similar PSU that can replace them. 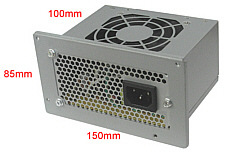 -Most PSU come with enough connectors but additional connectors are available. 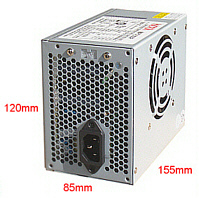 an SFX PSU with an adaptor bracket (bottom picture). 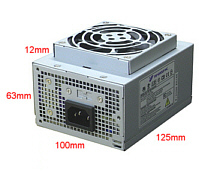 - This PSU has the same size the one bellow but the fan is inside the casing. the power inlet on the LONG side. Often mistaken for the PSU bellow. the power inlet on the SHORT side. too thin to take a standard ATX PSU. - Suitable for a variety of Shuttle PCs. bracket as a suitable replacement. Updated on 24-02-15. Evercase Technology. All rights reserved, Email the webmaster.